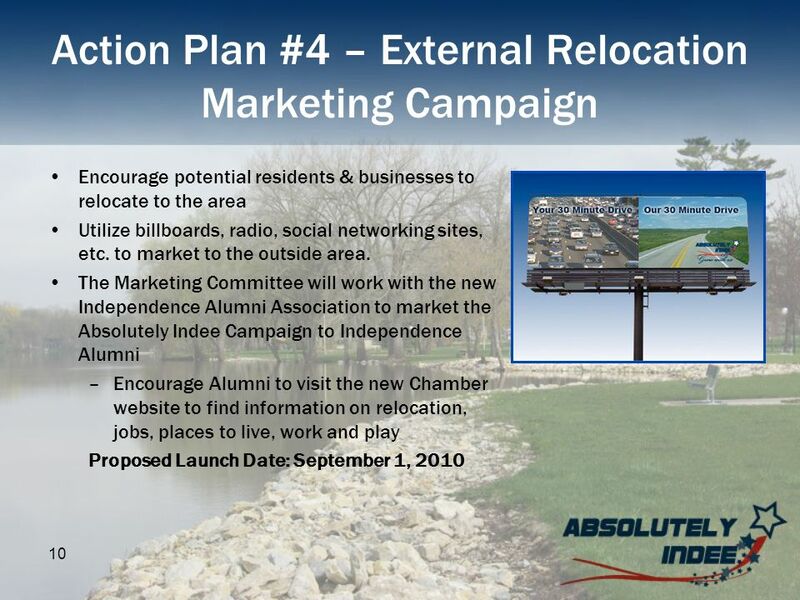 1 Independence Area Chamber of Commerce Marketing Campaign Committee Presentation also available online at: www.indycommerce.com/absolutelyindee.php. 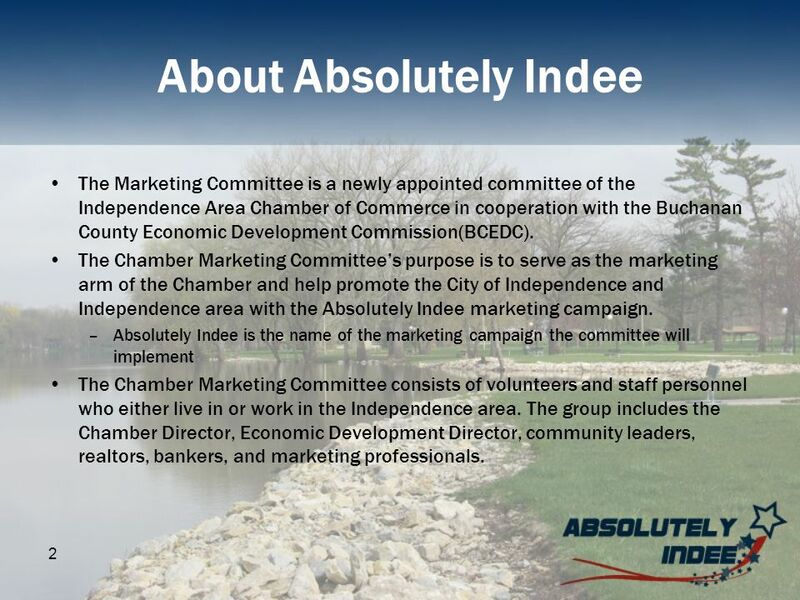 2 2 About Absolutely Indee The Marketing Committee is a newly appointed committee of the Independence Area Chamber of Commerce in cooperation with the Buchanan County Economic Development Commission(BCEDC). 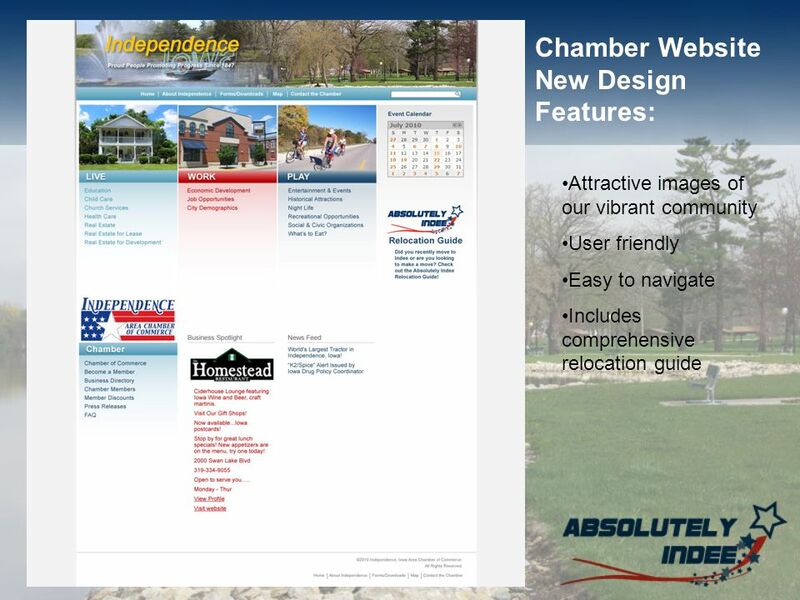 The Chamber Marketing Committees purpose is to serve as the marketing arm of the Chamber and help promote the City of Independence and Independence area with the Absolutely Indee marketing campaign. 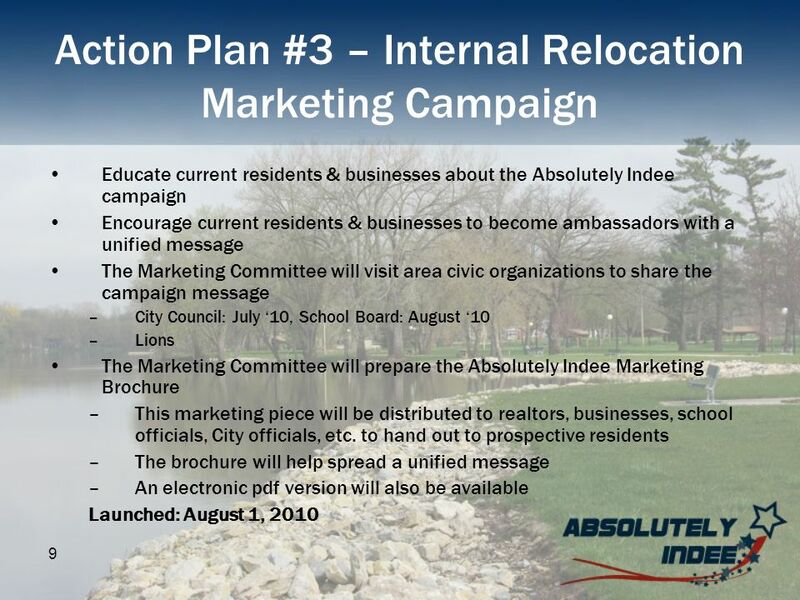 –Absolutely Indee is the name of the marketing campaign the committee will implement The Chamber Marketing Committee consists of volunteers and staff personnel who either live in or work in the Independence area. 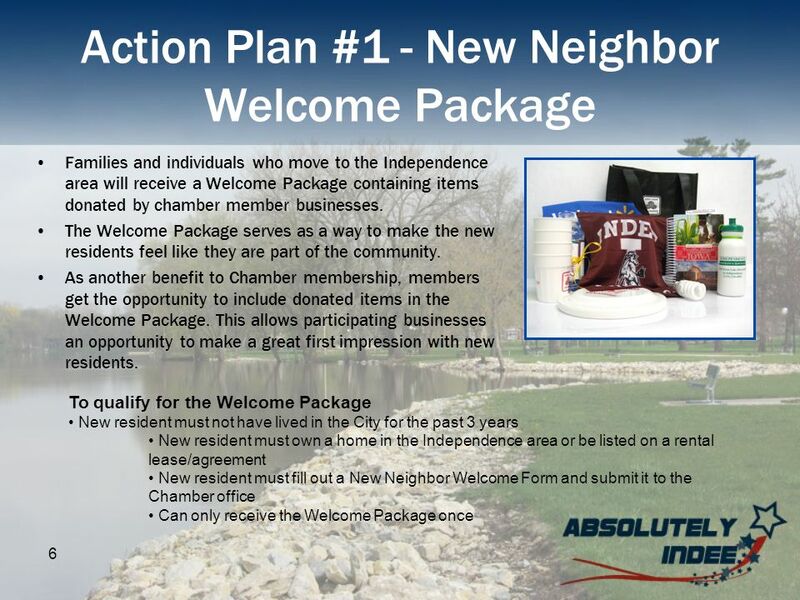 The group includes the Chamber Director, Economic Development Director, community leaders, realtors, bankers, and marketing professionals. 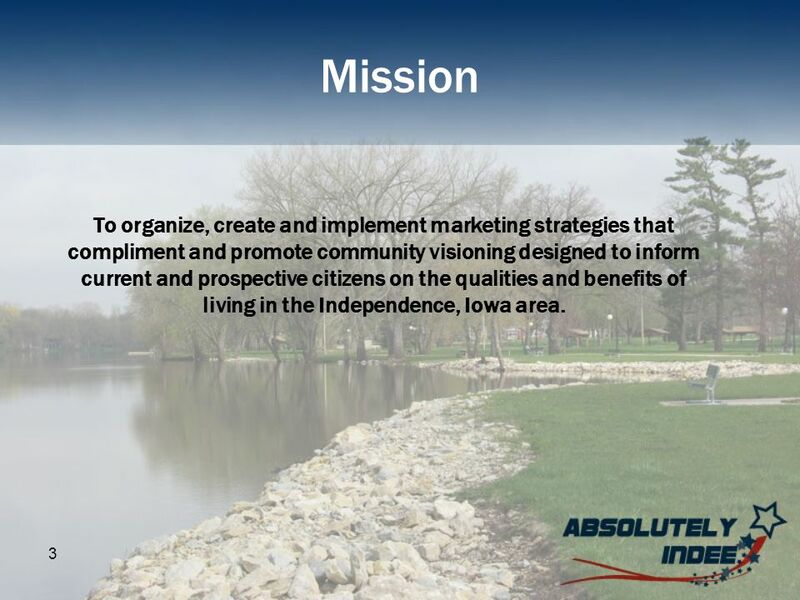 3 3 Mission To organize, create and implement marketing strategies that compliment and promote community visioning designed to inform current and prospective citizens on the qualities and benefits of living in the Independence, Iowa area. 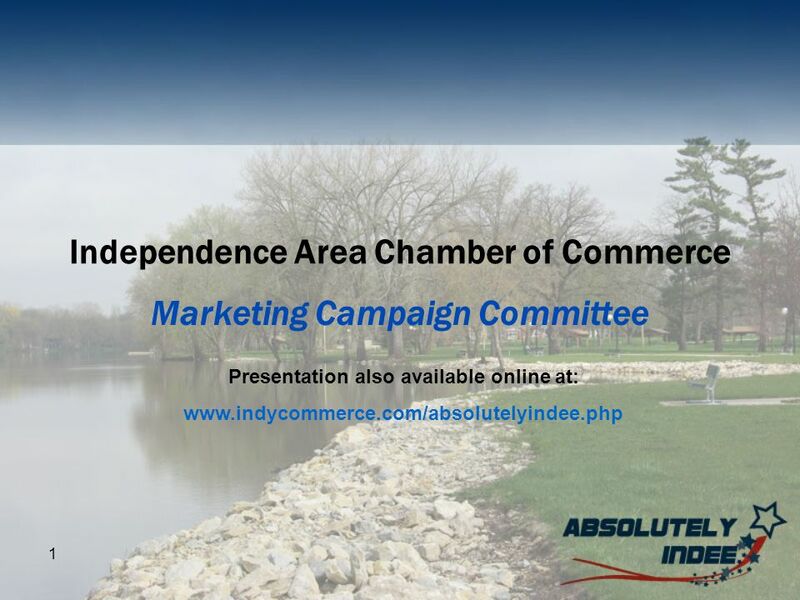 Download ppt "1 Independence Area Chamber of Commerce Marketing Campaign Committee Presentation also available online at: www.indycommerce.com/absolutelyindee.php." New York States Apprenticeship Training Program A Review of the Recommendations found in the Internal Process Mapping Report and the External Consultants. 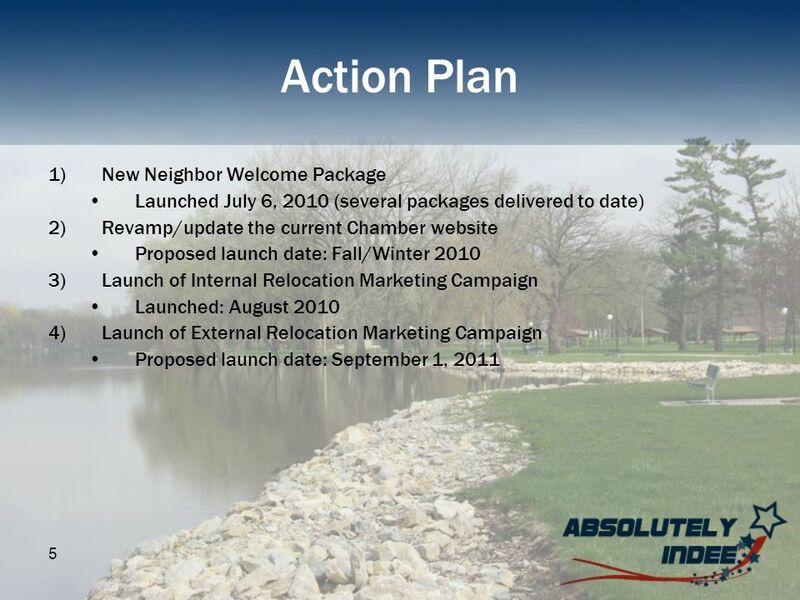 INCOSE Chapter Ambassador-Promoter Orientation Keys to Effective Chapters Example Template 15 March 2012. Agents & Brokers Listening Session August CNM Workforce Development Center Albuquerque, NM. A Community of Practice (CoP) is a group of people who:  share a craft or profession, and  come together to share that common interest. 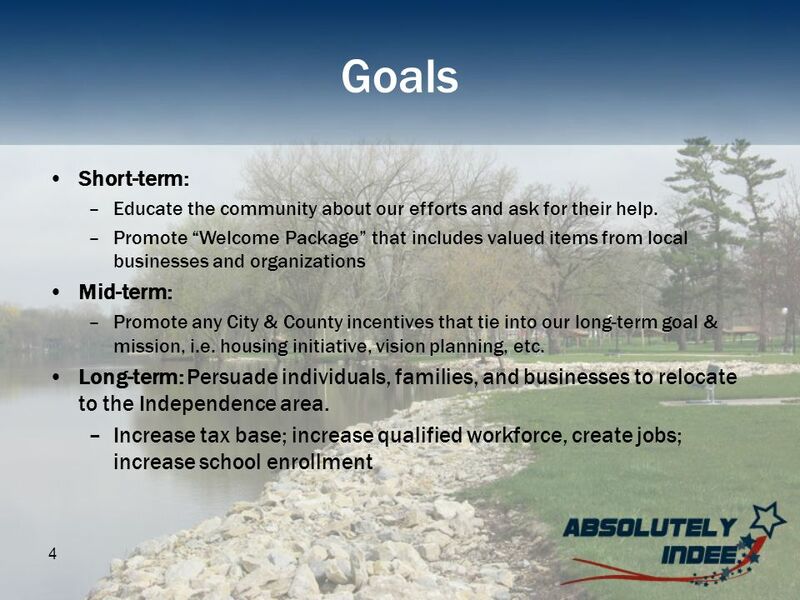 Presentation Outline Center Overview Guiding Principles Mission Achievement Goal Achievement Current Initiatives FY2013 Goals. Building a Strong Community Presence Julie Ann Peterson Grace Lutheran School - Jacksonville, FL. NCSL INTERNATIONAL SERVING THE WORLD OF MEASUREMENT CREATING AWARENESS OF METROLOGY EDUCATION & TRAINING Graham Cameron NCSLI Canadian Education Contact. 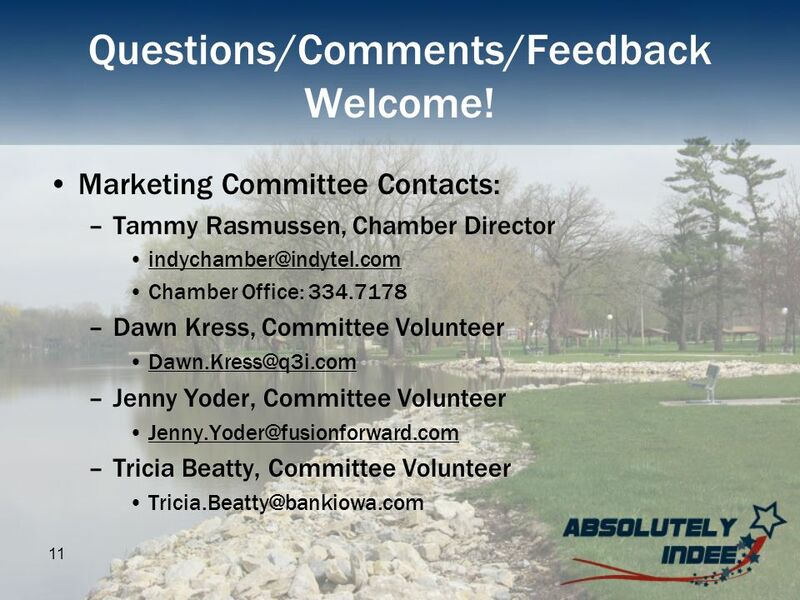 MEEC Chapter Eleven Convention and Visitors Bureaus. NALEO Educational Fund Astrid Garcia Director of State Election Policy and Redistricting (213) California Citizens Redistricting. PRSA Student of the Year Competition. Introduction I approached this project as a patient looking for information on community service programs. By surveying. Edina Public Art Committee & Bike Edina August 27 th, 2009 Project Proposal Bicycle Mosaics for Edina Public Art. Alumni Admissions Ambassador Program. The Alumni Admissions Ambassador Program A collaborative effort between Alumni Relations and Undergraduate Admissions. Alumni Admissions Ambassador Program 2008 – 2009 Recruitment Season. Background   When? 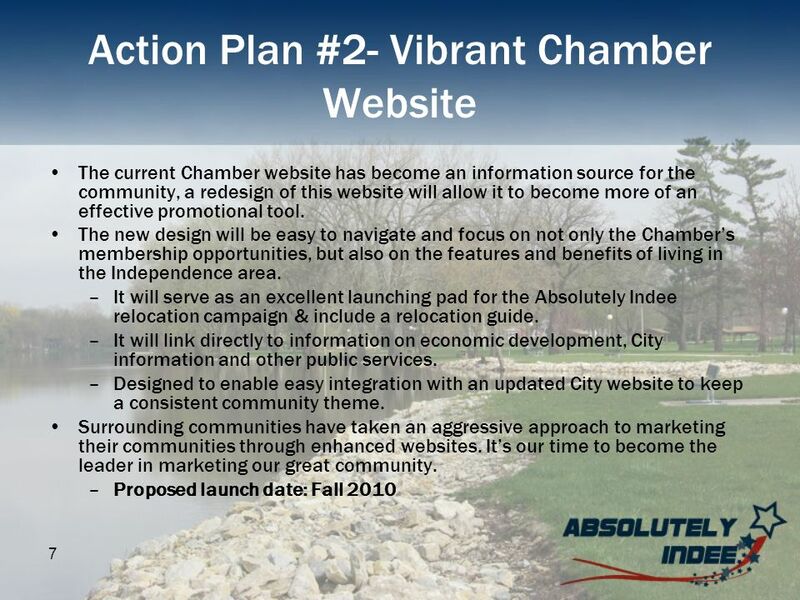   Formed in July of 2002 as a result of the Southern Colorado Technology Summit   Why?   To assist in the development of a.